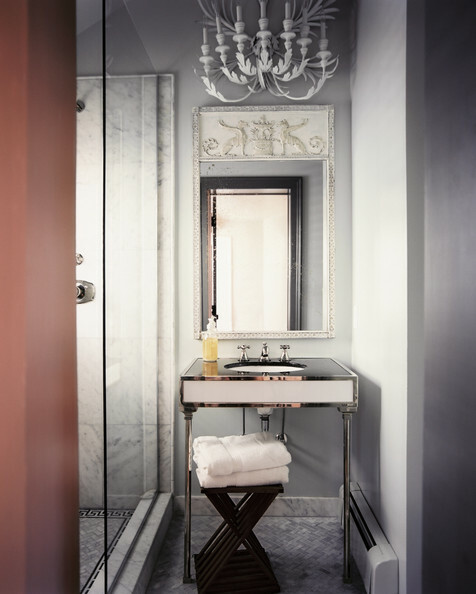 Mix and Chic: Chic bathroom inspirations! My lovelies, how's your holiday? I hope you had a wondrous Christmas! 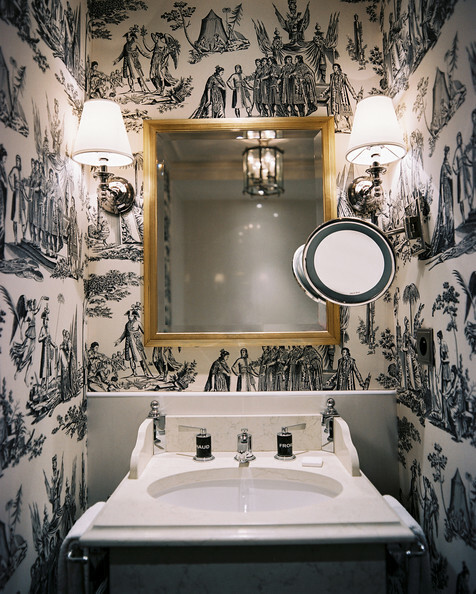 I haven't done a post on stylish bathrooms for a while so I hope the images below will inspire you when it comes to decorating/ remodeling your own bathrooms. 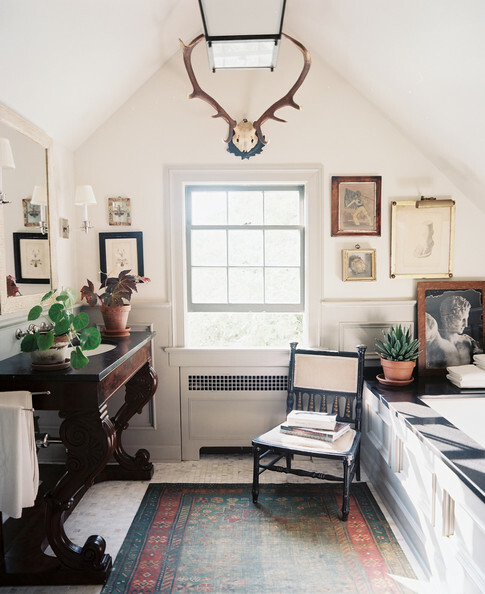 I would love to know which one of the above bathroom inspires you the most. Let me know your thoughts! Very inspiring! I like best the #3 & #5. That's a pretty amazing round-up. Hi Jessie, I love your bathroom pictures. 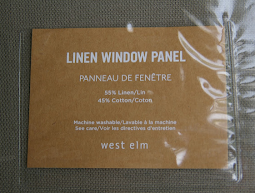 I need to freshen my powder room up this year. Wishing you the joy of the season and a very Happy New Year. 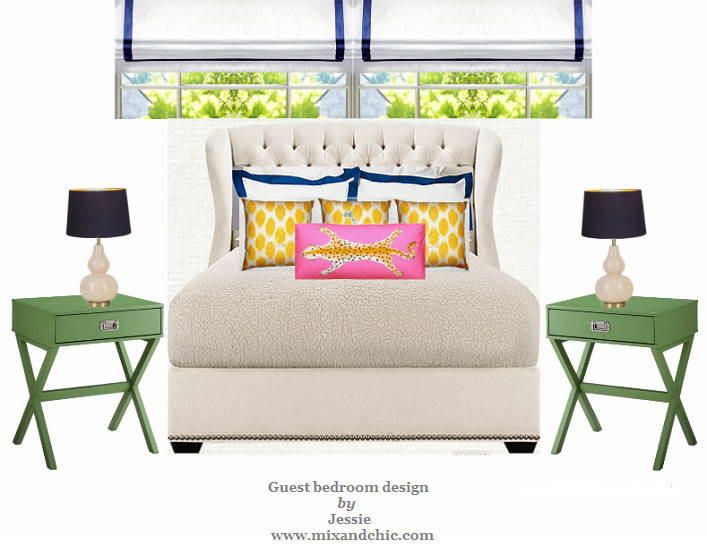 Thank you for your beautiful blog. 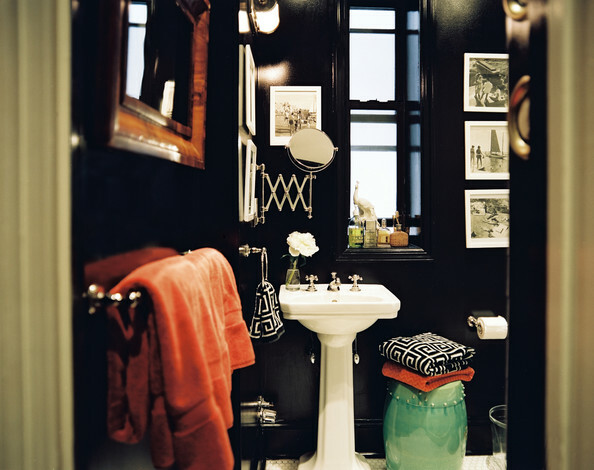 i can't believe i'm sayin this, but my fav is the bath with pink and red stripes. i would do that in a heartbeat if i knew the outcome would work in a guest bath here. awesome inspiration! 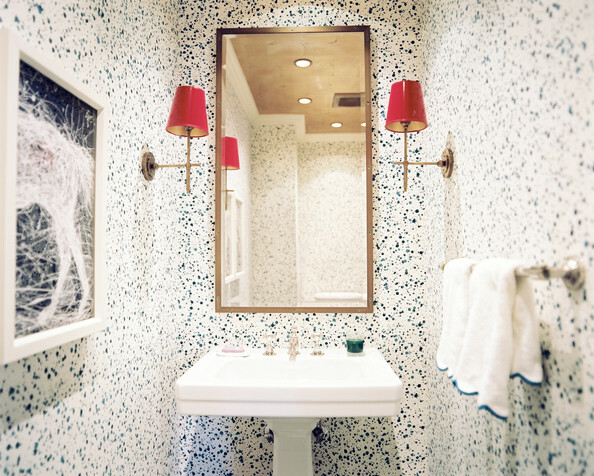 I like the marbleized papered powder room. What an impact and visual to mask the outdated vanity. Happy new year Jesse! The first image with the natural wood beams & hardwood floors against all that white is beautiful. 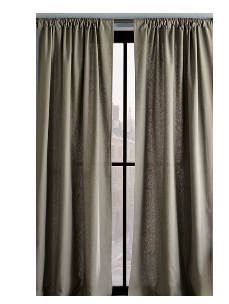 Simple, but such a beauty. 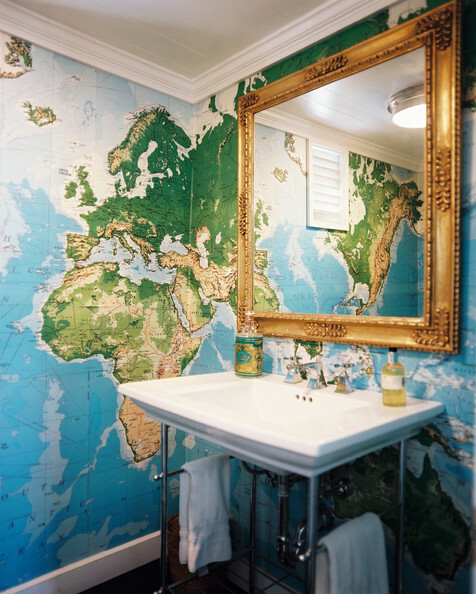 And that world map wallpapered bath? How cool! 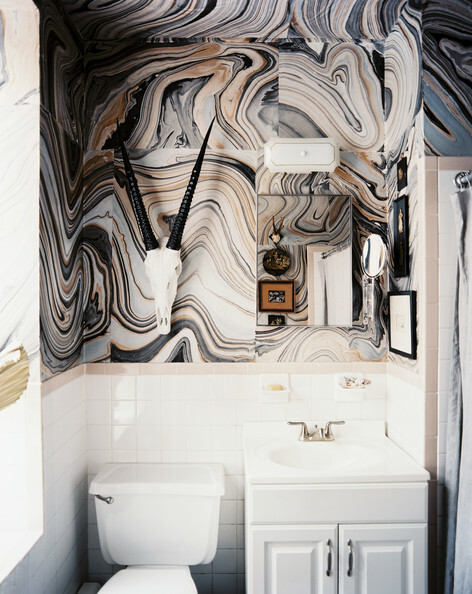 I'm still dying a thousand deaths over the marbleized paper Lonny bathroom - and the pink/red stripe bathroom is new to me - and a new favorite! Happy New Year! lately, im a complete sucker for the red and pink combo! 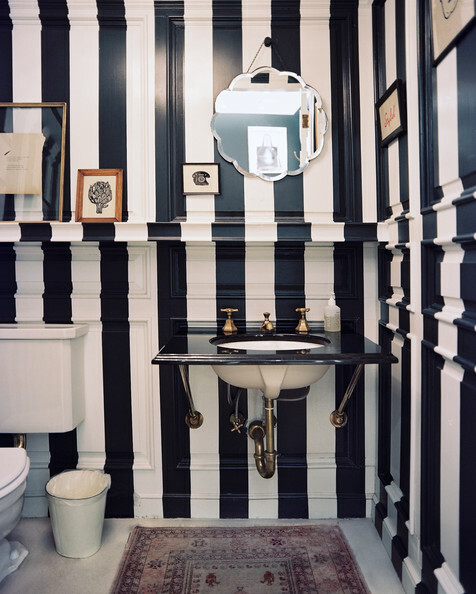 I'm lovin that striped bathroom. 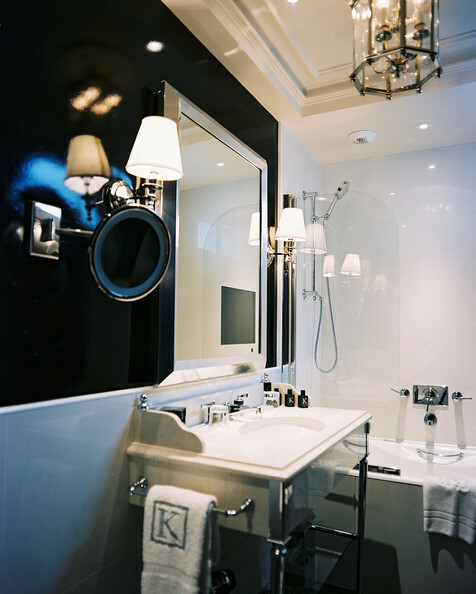 Also, love the black and white tile work. great finds! happy almost 2013 girlie! Happy New Year! They are each fabulous in their own right. 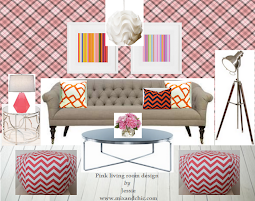 So many fantastic ideas with graphics that it is a wonderland of black and white!